I’ve always liked the Luxembourg Gardens. I suppose it’s partly because I’ve stayed nearby on a few Paris visits. Since I needed to run an errand in the the Latin Quarter I decided to pick up some lunch to eat in the gardens. The gardens are actually for the French Senate, housed in the former palace built by Marie de Medici in 1612. I enjoy people watching there, and wandering the park discovering new things. Benches and green chairs are scattered around the 60 acre park, as well as an area designated for those who wish to sit on the grass. A jogging path surrounds the park and there is also a protected area specifically for young children to play. On the way back to the apartment I cut through tourist-heavy Saint-Germain, near the corner of rue de Buci and rue de Seine, shown in the last photos. 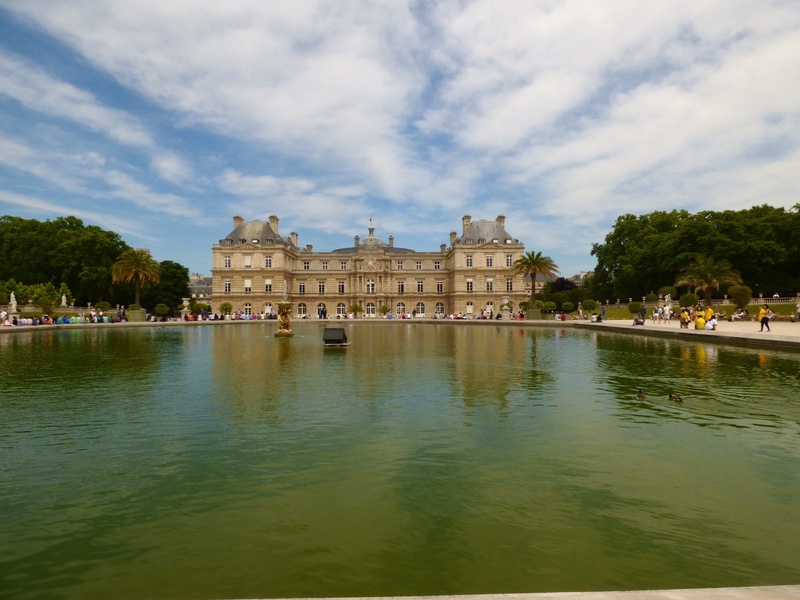 This entry was posted in Paris and tagged france, jardinduluxembourg, jardin_du_luxembourg, paris. Bookmark the permalink. Rose and I stayed near the corner of rue de Buci and rue de Seine. That was pretty insane on fette de music! Unfortunately, my little store where I was going to purchase my favorite pasta, basil, pinenut salad had been closed down and was being turned into something else. I ended up just buying a soda at a mom and pop place!